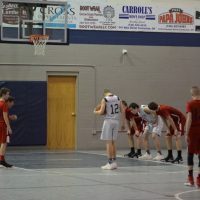 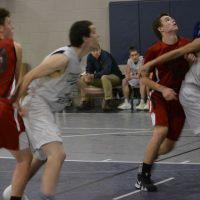 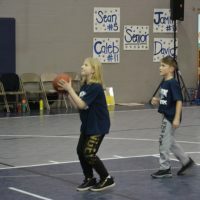 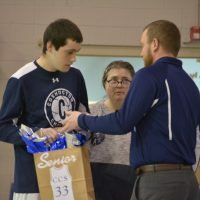 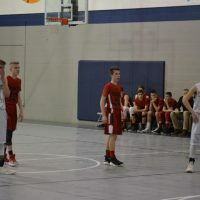 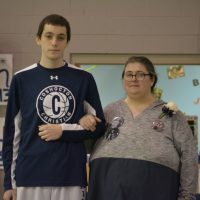 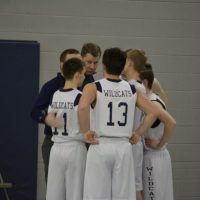 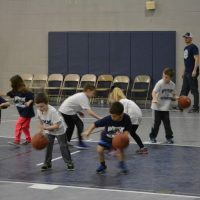 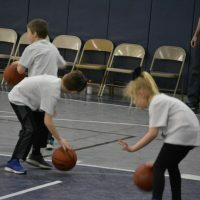 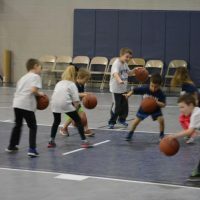 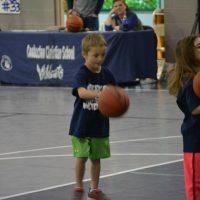 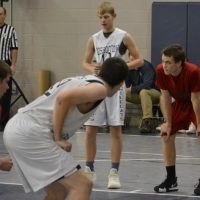 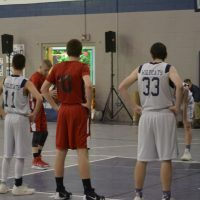 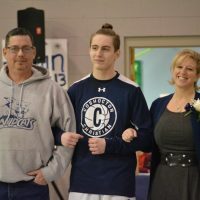 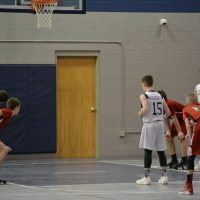 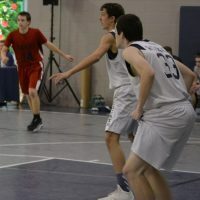 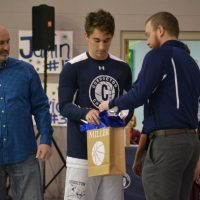 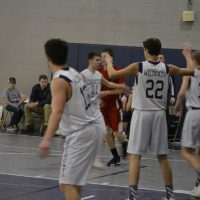 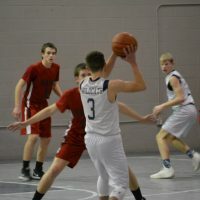 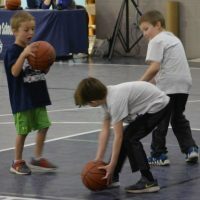 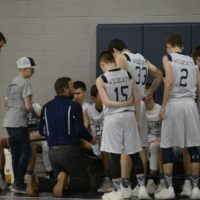 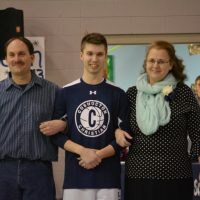 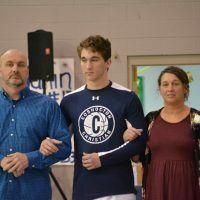 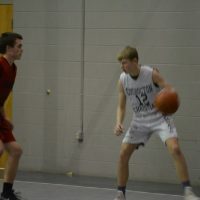 COSHOCTON – Coshocton Christian School hosted senior night for its basketball players and several other fun events during the boys’ Feb. 1 game against the Marion Hawks. 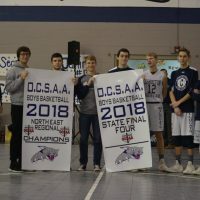 Prior to the start of the game, members of last year’s team, including those who had graduated, displayed banners earned by the boys during their run to the state tournament. 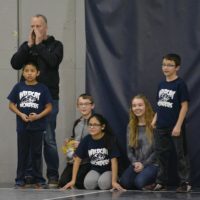 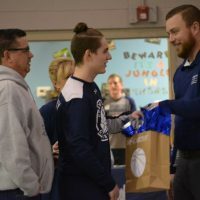 “It was an honor to be your coach,” said Head Coach Kyle Dunfee, during the presentation. 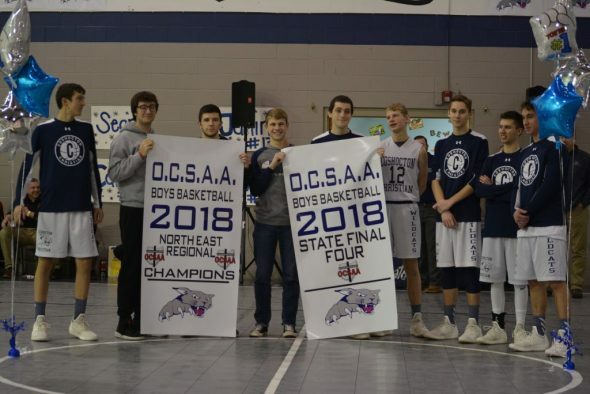 “You worked your tails off for this.” The seniors on this year’s team, Jamin Miller, David Dahl, Caleb Moore, and Sean McCarthy were then honored. 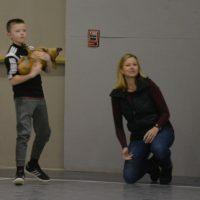 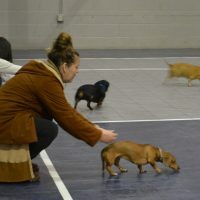 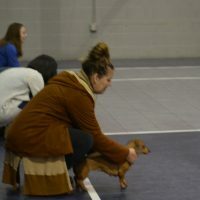 At half-time fans were treated to a display of skills by the school’s new biddy basketball program, the Wildcat Wonders and a wiener dog race.